From Country Strong to Nashville, there is no shortage of titles devoted to the behind-the-scenes drama of the country biz. But there hasn't been an Oscar-baity Bradley Cooper movie — at least, not until now. Cooper co-stars and directs A Star Is Born, a remake of the musical that has previously existed in 1937, 1954 and 1976. 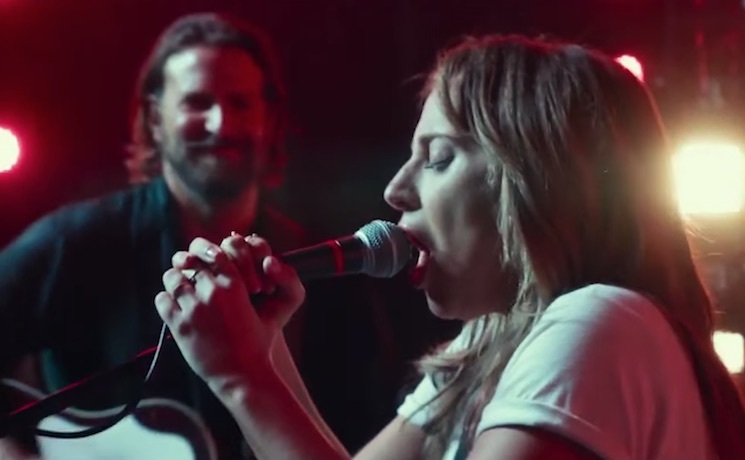 This time around, Lady Gaga is playing the role previously done by the likes of Janet Gaynor, Judy Garland and Barbra Streisand. Some scenes were even shot at Coachella. The movie looks, well, schmaltzy as hell. You can dig into the trailer below, then plan a date night for its October 5 release date.